The project involves the construction of a new 750 MW combined cycle power generation module at the El-Kureimat Power Plant complex. 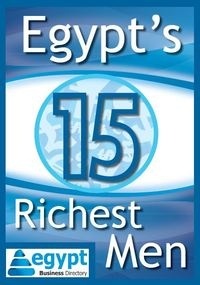 In the last decade, Egypt has achieved significant annual economic growth. But at a cost. Rapid economic growth, together with an increase in population and a move to the cities, has increased the demand for energy, particularly electricity. To help solve the problem, the Egyptian government called upon the African Development Bank (AfDB). It asked it to support the country's generation investment plan. The government aims to increase the country's power generation capacity by about seven per cent annually to meet the growing demand and maintain the country's 99 percent electricity coverage. The first such support was approved in July 2005 with a loan of €175.9 million to co-finance the Kureimat Power Plant Project, near Cairo, along with the Egyptian Electricity Holding Company (EEHC). The project involves the construction of a new 750 MW combined cycle power generation module at the El-Kureimat Power Plant complex. The plant uses state-of-the-art technologies firing natural gas in line with Egypt efforts to help mitigate climate change and move towards a greener economy. In line with the national development plans which span five-year periods, the EEHC developed a generation expansion plan for 2007-2012. The plan involved adding 7,000 MW of new generation capacity, comprising eight power generation projects for a total investment cost of USD 7.6 billion. EEHC was able to mainly finance the local cost of the investment - 40 percent of the total - with the remaining 60 percent being funded by Egypt's development partners. Project implementation started in 2005, while the commercial operation of the plant began in phases in 2009. During its construction period, the project helped create some 2,000 direct jobs; and subsequently a few hundred permanent jobs for operation and maintenance of the plant. Direct project beneficiaries include the people living near the project site, who benefited either from employment or providing services. The local area around the project site has witnessed visible socio-economic development as a result. Other project beneficiaries include the domestic and foreign contractors and consultants who supplied goods and provided services to the project, as well as EEHC technical staff who received training on the new equipment and facilities. With the successful implementation and operation of the Kureimat power project, the installed power generation capacity in Egypt increased by 3.2 percent, reaching around 23.5 GW. As a result of its efficient and modern technology, the project is steadily supplying the national grid with about 5,913 GWh/year. This energy is used for various economic activities countrywide, including industrial, commercial, agricultural and tourism; thus, contributing to job creation, increase in productivity and improvement in the quality of life for the entire Egyptian population. The AfDB has been supporting the Egyptian power sector in since 1974 and has contributed significantly towards making the sector more efficient and reliable. In addition to the Kureimat project, the AfDB is currently co-financing three power generation projects in Egypt with a cumulative lending of about USD 1.2 billion. When completed, they will contribute about 36 percent of the targeted generation capacity increase until 2017. The AfDB is also helping Egypt green its energy sector by supporting two wind and solar energy projects, for which it is mobilizing some USD 100 million from CTF resources. In collaboration with other development partners, the AfDB continues to build on its fruitful cooperation with the energy sector in Egypt to ensure sustainable economic development in the country.